The revised State Plan for Prevention, Intervention and Treatment Services for Children and Youth (2012), signed by Dr. Chris Urbina and Gov. John Hickenlooper, reflects the dynamic interagency collaborative efforts that are occurring with regard to state-managed programs for children and youth. Input on the priorities of the State Plan was collected from private and public stakeholders, including state program managers. One of the statutory responsibilities of the Prevention Services Division (PSD) is the coordination and streamlining of state processes related to state-managed prevention, intervention and treatment services for children and youth within PSD and across state departments. the State Plan focuses on areas of consensus for improving state government approaches to better assist children, youth and families in Colorado. The goals, objectives and strategies of the State Plan are implemented by a network of partners. Fostering effective partnerships within and across the public, private and nonprofit sectors is intended to create a new dimension for performance and impacting complex social issues. 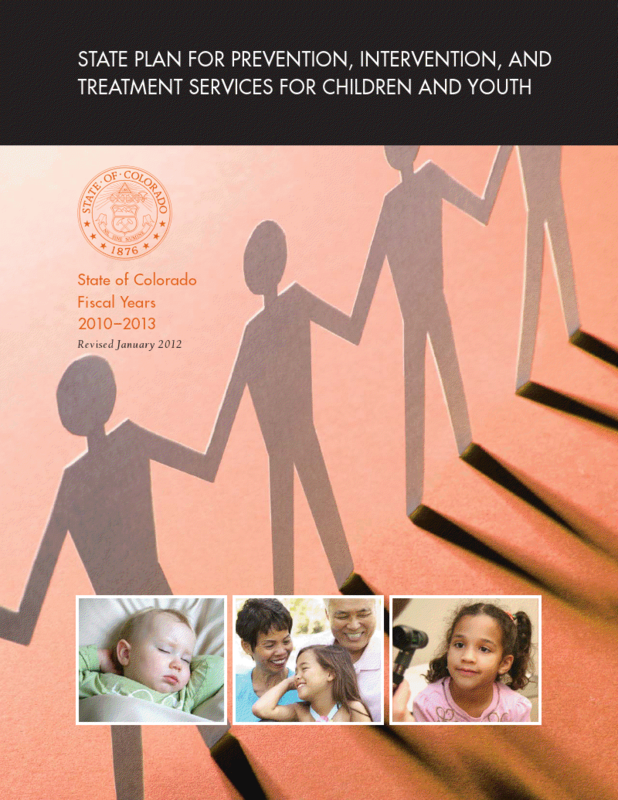 Transitioning to the network, or systems management, model of managing resources requires thoughtful planning and analysis in order to utilize the state funding and finance systems for collaborative and integrated management of prevention, intervention and treatment services for children and youth in Colorado.